10 Bedroom, 8 full & 2 half bath custom estate with exquisite details throughout. 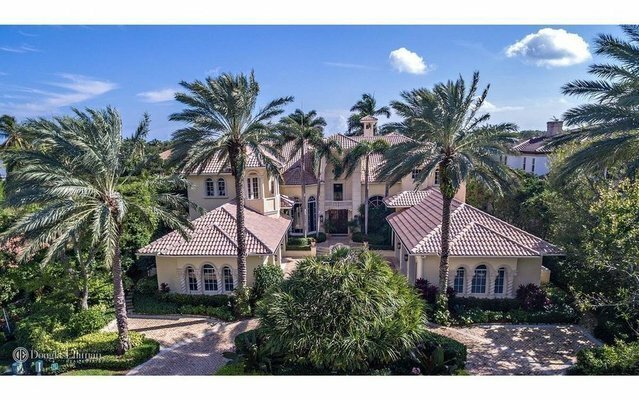 This 10,000 square foot estate has soaring 15' to 24' ceilings in the living areas, marble and wood floors, antiqued mirror panels in foyer and dining room, crown molding and hand painted wall finishes. Mexican shell stone columns & trim inside and out. The formal living room has a stone fireplace, walnut floor and tiled bar with sink, refrigerator and ice maker. Dining Room has 15' corbelled celling and stone crafter columns. Gourmet kitchen has all of the bells and whistles including an oversized island, SubZero refrigerator, Thermador 6 burner range with grill and 2 Bosch dishwashers. Custom built-ins in library and office. Master suite has sitting area, his & her walk-in closets with private exercise room.